The NC State College of Education has several initiatives underway to improve early literacy education in North Carolina and beyond, including offering an online professional development course for educators called Teaching Foundational Reading Skills. Over 1,100 are currently enrolled in the course, which faculty designed to provide educators with research-informed instructional strategies that they can apply to their classrooms. Christina Mojica decided to become a teacher while volunteering at an early literacy program in Boston through AmeriCorps*VISTA Now, 15 years later, she is still passionate about helping young children learn to read; and as a first grade teacher at Willow Springs Elementary School in Wake County, she also wants to learn new ways to help students become better readers. That’s what led her to enroll in Teaching Foundational Reading Skills, an online professional development course the NC State College of Education offers through its Friday Institute for Educational Innovation. The course is free, counts toward continuing education credits, and provides the flexible schedule she needs, she said. But what makes the course the most impactful is its relevancy and applicability. Teach with a comprehensive and balanced approach to reading and writing. Foster opportunities for readers to learn from texts. Build on children’s home, community, and cultural experiences and knowledge. Use assessment judiciously and strategically to inform instruction. Create opportunities for language development. Design a whole-child approach to literacy across environments. Develop and support excellent teachers. “To be able to access a course like this full of all the current research, put together by experts who understand the value of time — but also the value of immediate applicability to the classroom — is amazing,” Mojica said. Giving teachers tools, resources, and knowledge they can apply directly to their classroom to improve literacy education is why the course was started, said Dennis Davis, Ph.D., an associate professor of literacy education who co-facilitates the Teaching Foundational Reading Skills course with Assistant Professor Jill Grifenhagen. Sixty-four percent of fourth graders across the nation performed below “proficient” level on the reading portion of the National Assessment of Educational Progress exam in 2015. That was a 1 percent decrease in just two years. 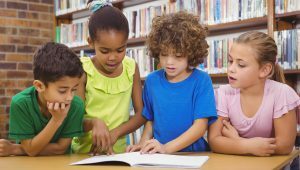 In North Carolina, the average grade-level reading proficiency for all students in 2016 was 58 percent according to the N.C. Department of Public Instruction. The NC State College of Education has several initiatives underway to enhance literacy education across North Carolina and beyond, including the development of the Literacy Space and research-informed resources for professional educators. [See Other Literacy Initiatives] The Teaching for Foundational Reading Skills online course allows the college to reach teachers across North Carolina where they are and provide professional development training, Davis said. Davis and Grifenhagen worked with Friday Institute Executive Director Glenn Kleiman and Marcia Kosanovich at Florida State University’s Florida Center for Reading Research to organize and design the course around recommendations for K-3 readers that the U.S. Department of Education’s What Works Clearinghouse published last year. Topics include how to advance speaking and listening language skills, develop awareness speech sounds, increase the ability to decode and analyze word parts, and support the development of reading accuracy, fluency and comprehension. The course is also built around existing educator training and allows participants to experience classroom simulations through video instruction. Over 1,190 educators are enrolled in the Teaching Foundational Reading Skills course this spring; 44 percent are from North Carolina. Last semester, 1,839 completed the course, including over 350 from the state. Because of the course, for example, she has changed how she begins each lesson. Now she opens each lesson by sharing a quick anecdote about where and how she learned the material she’s going to teach. This reinforces the importance of the material but also helps students see her as a learner. Participating in [this course] gives me the freedom to work on what I need and want to work on in a way that fits where I’m at as a teacher. Teaching Foundational Reading Skills is not just open to elementary grade teachers but to anyone — from college students and parents to mentors and coaches — who want to enhance the literacy education of early learners and see the state’s early literacy rates rise, Grifenhagen said. Grant Gibson is an academically/intellectually gifted (AIG) teacher in Orange County who is taking the course because part of his job is to nurture students not currently identified as gifted or proficient. The Teaching Foundational Reading Skills course runs through April 5 and participants have until April 27 to complete requirements for a certificate of completion. The course will be offered again in the fall. The recently launched Literacy Space is a literacy hub providing reading support to K-5 learners to help close achievement gaps in reading. 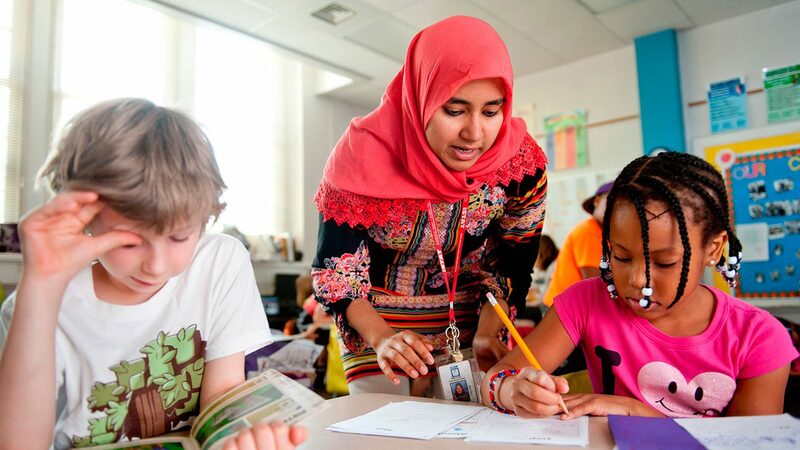 Graduate students from the NC State College of Education serve as tutors to children enrolled in the program. NC State College of Education students and faculty supported Marbles Word Week, the first event of its kind at the Raleigh children's museum, by leading events and activities focused on literacy and wordplay. Written by Leah Jarvis. Edited by Cherry Crayton.